Here's the dish on rum made right here in Sarasota. Troy Roberts founded Drum Circle Distilling, maker of Siesta Key Rum, a decade ago, after he’d sold another business and got bored. He researched how to make rum and realized, “It’s not rocket science. You make good rum by not cutting corners.” His prize-winning liquors are produced in an industrial quadrant of north Sarasota. The company makes six different varieties with three stills that run from 7 a.m. to 5 p.m. five days a week. Buy some in a retail store or visit the tasting room for a tour and a sip. The Distiller’s Reserve Solera Blend won a rare “superb” 94/100 rating from Wine Enthusiast, good enough to be included in the publication’s best-of-2015 list. Retail sales are growing by 40-50 percent each year. Drum Circle uses 100 percent Florida-grown sugar cane. Siesta Key rums are between 70 and 80 proof. Making Siesta Key rum can take anywhere from one month (for Silver rum) to eight years (for barrel-aged varieties). 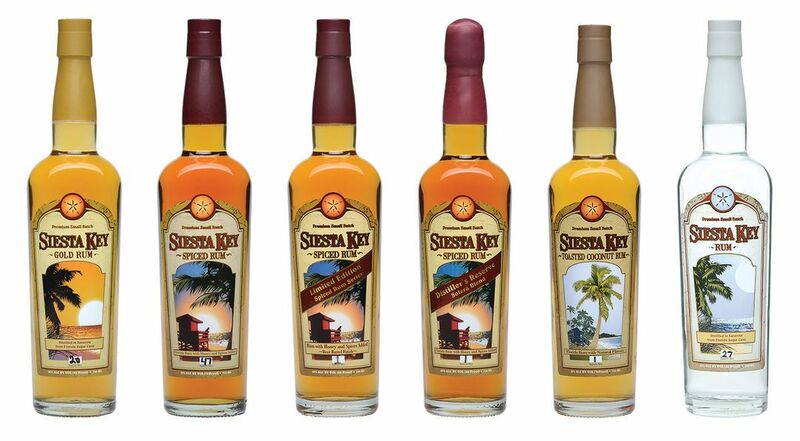 You can find Siesta Key Rum all over Florida in Total Wine & More, ABC Fine Wine & Spirits, Publix, Costco, Sam’s Club, Walmart and other stores. The rum is sold in 18 other states, primarily at Total Wine outlets. Three Drum Circle rums are available in stores: Silver, Spiced and Toasted Coconut. Its Gold, Distiller’s Reserve Solera Blend and a beer barrel-finished spiced version are made in smaller batches and can be purchased only at the distillery. Disney World theme parks and Universal’s Volcano Bay water park serve Siesta Key rums.